JOHANNESBURG, January 15, 2019 - Forestry South Africa (FSA) has launched the Forestry Explained recreational map, ideal for when the travel bug bites, when you need family-friendly accommodation or a quiet weekend away from the city life. The new interactive map details the myriad of activities and attractions that are found on forestry-owned land around the country. Treasures within the trees Around 30% of forestry-owned land is unplanted and a large proportion is set aside for dedicated conservation. These include vast swaths of grasslands, riverine ecosystems and indigenous forests. Besides their obvious conservation value, these areas provide ample recreational opportunities on top of what is provided by the plantation forests themselves. Whether it is trail running, hiking and mountain biking adventures you seek, or serene days spent bird watching, picnicking and taking in spectacular views, forestry-owned land has something to offer you. The Forestry Explained recreational map makes accessing these activities and attractions easy. It showcases eco-activities of forestry companies and private individuals in one user-friendly recreational guide. Its interactive nature allows people to explore what’s on offer, along with the important information for the perfect forestry day out. 2019 “Forestry Fun” bucket list Make 2019 the year you explore the recreational offerings of South Africa’s commercial forests. Why not see if you can complete the 2019 “Forestry Fun” bucket list below, making sure tag @forestry_explained into any shots you post on Instagram. 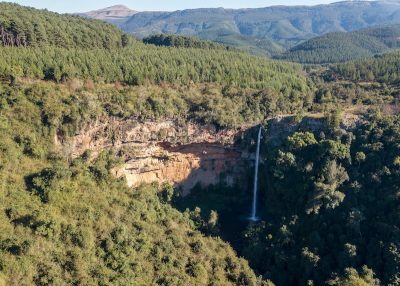 Mpumalanga’s waterfalls – many of the famous ‘Panorama Route waterfalls’ are actually situated on forestry land owned and managed by state-owned SAFCOL, including Berlin Falls, Lisbon Falls, Mac Mac Falls and Pools, Bridal Veil Falls, Lone Creek Falls and Marie Shires. Mountain biking getaway – take a long-weekend and explore the plantations, indigenous forests and open grasslands of . . .
Engen have announced the top learners for 2018 who attended the Engen Maths & Science School (EMSS) programme, and revealed that the matric EMSS class of 2018 attained an impressive 93% pass rate against the national pass rate of 78.2%. The EMSS programme offers additional Maths, Science and English tuition every Saturday to learners from grades 10-12 at nine locations across South Africa. It is aimed at helping address South Africa’s key skills shortages in the engineering and technical fields. The programme’s successful record of accomplishment speaks for itself with 67% of the 2018 EMSS matric class attaining bachelor passes against the national average of 43%. All three top achievers for 2018 hailed from KwaZulu-Natal. The top national achiever was Thabiso Ndlovu of Velabahleke High School in Umlazi, who attended the EMSS programme at the University of KwaZulu-Natal. Thabiso who is planning to study medicine this year, achieved an impressive 92% for science, 97% for maths and 86% for English. Second nationally was Msomi Zizile of Zwelibanzi High School, Umlazi who attended the EMSS programme at Mangosuthu University of Technology. Zizile scored a near perfect score of 98% in science, 89% for maths and 81% for English. 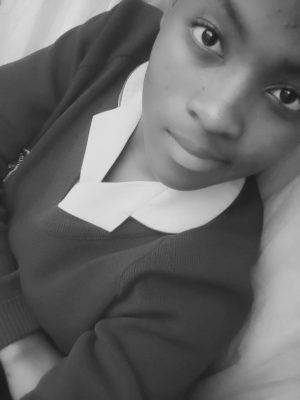 She is planning to study either medicine or chemical engineering at the University of KwaZulu-Natal. Third was Brenton Johnson from the Bluff, who attended Grosvenor Boys High. Brenton attended the EMSS programme at Fairvale Secondary School and will be studying for a Bachelor of Accounting Sciences at Varsity College, Westville Campus in 2019. Brenton achieved 94% for science, 83% for maths and 89% for English. Engen’s Corporate Social Investment Manager, Adhila Hamdulay is delighted that Engen is giving many bright young learners the springboard to pursue their tertiary education in maths and science related fields. Thabiso, Msomi and Brenton all three achieved a spectacular average of more than 90% for . . .
Durban, 12 December 2018. TOURISM into markets where airlines establish direct flights historically experience a 30-40% growth within the first year of the route’s establishment, according to research released by Dube TradePort (DTP). The news comes as Durban welcomed three weekly direct British Airways (BA) flights per week into King Shaka International Airport from October with the city making its inaugural appearance on the airline’s Top 19 Must-See Destinations for 2019. BA announced in May that it would include Durban on its direct service as the airline rolled out a ?4.5 billion five-year customer investment plan. 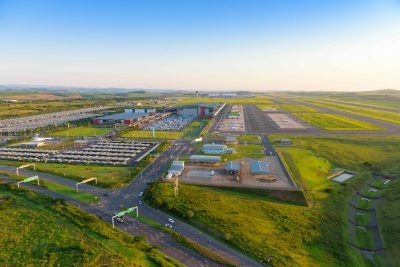 The service will complement Durban’s growing connectivity to global hub airports and the route will be serviced by the airline’s newest aircraft, the Boeing 787-8 Dreamliner. Currently, Emirates, Qatar Airways, Turkish Airlines, Air Mauritius, Pro-flight Zambia and Airlink all provide direct international air connectivity to and from King Shaka International Airport. Earlier this year KwaZulu-Natal economic development, tourism and environmental affairs MEC Sihle Zikalala said international cargo routed through the Dube Cargo Terminal had experienced continuous year-on-year growth since 2010, translating into a 138% hike in volumes. Introducing new passenger flights previously has shown a 25% hike in cargo volumes, and it is expected that the introduction of the direct BA flight will provide additional bi-directional capacity of approximately 20 tons per flight, into the key markets for cargo into and out of KZN. In breaking the news, BA chairman and CEO Álex Cruz said Durban’s warm water, hot summers and laid-back atmosphere made the coastal city “the perfect holiday destination” and a gateway to nature reserves, parks and historic sites. 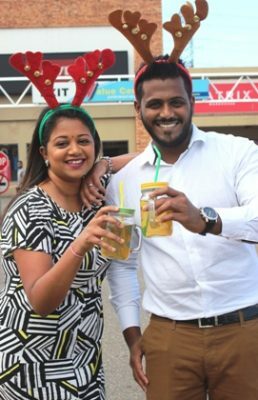 “Durban has a thriving food, drink and art scene, defining the city as a must-visit for culture and adventure. It is also home to the busiest port in South Africa and is a large manufacturing hub, . . .
Brenda Tsolo has a dream. 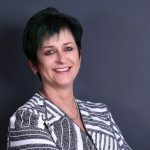 With more than 15 years of experience in contact centres, she knows the sector is ideally positioned to create job opportunities for unemployed, young South Africans. 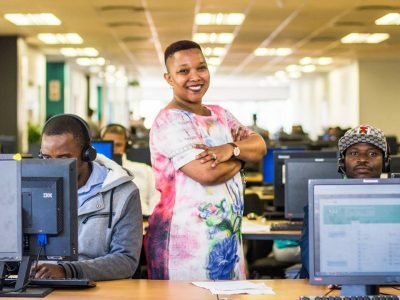 Wanting to be part of the employment solution, Brenda’s vision has been to set up her own contact centre and that’s why she has grasped the opportunity to own and operate a micro call centre – and has a massive goal to grow her business to 500 agents in the next five years. Brenda opportunity to realise her dream became reality when she was selected as one of the first entrepreneurs to partner with EduPower Skills Academy in its Enterprise Development programme. The brainchild of EduPower’s Director, Rajan Naidoo, the programme seeks to develop black-owned contact centres using corporate B-BBEE Enterprise Development funding to help them scale and grow. “Companies that are B-BBEE compliant are required to spend 1% of NPAT on Enterprise Development. EduPower wants to tap into this funding to set-up at least 20 incubators and help these entrepreneurs build sustainable businesses in the Business Process Outsourcing (BPO) sector,” Rajan explains. Traditionally, the contact centre industry in South Africa is limited to a number of large players as the barriers to entry are high. By setting up their incubators the EduPower contact centre facility, the entrepreneurs are not constrained by many of the traditional costs and overheads related to running a business and this greatly increases their chances of survival and sustainability. And it also increases the chances of these businesses becoming successful enough to create additional employment in the near future. Now in her third month, Brenda is one of two entrepreneurs who have already been placed in EduPower’s 24-month programme and she already seeing the benefits of a range of hands-on practical training as well as intensive coaching, mentorship and business development. One of the most important aspects however is . . . There is still time to book your spot and celebrate Christmas this year with Durban’s most festive family – the dolphins at uShaka Marine World who will be performing their dazzling aquatic aerobatics and adding a special sparkle to everyone’s end of year celebrations. Themed “Under the African Skies”, this year’s eagerly anticipated annual Dolphins by Starlight show has a vibrant home grown feel, paying homage to the beauty of Africa, it’s people and song. Both the audience and Santa himself can experience traditional Christmas songs reworked with vibrant African rhythms and can look forward to rousing renditions of popular hits such as “A Million Dreams”, “A World in Union”, “Can You Feel the Love”, “Special Star” and Quincy Jones’ soulful version of the “Hallelujah Chorus”. Although the uShaka dolphins always steal the show, they’ll be cheered on by pop sensation Lusandra Majola and an operatic prodigy as well as the Durban Gospel Choir, the Glenwood Junior Primary School Choir and the dynamic vocal stylings of isicathimiya group, Young Mambazo. The exhilarating contemporary dance troupe, the Kangaroo Zulu Warriors, and a live band under the baton of Burton Naidoo will add extra local sparkle. This year, Dolphins by Starlight will be hosted by well-known theatre personalities, Mpume Mthombeni and Daisy Spencer. 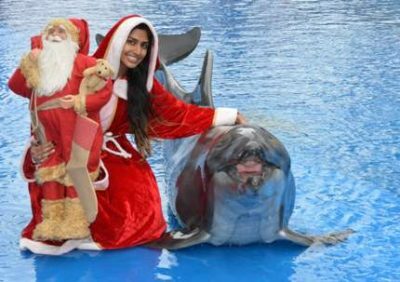 Last chance to make it there between now and December 13, the uShaka Marine World Dolphin Stadium will be filled with a special Christmas spirit and a strong message that encapsulates hope, faith, the value of family and friends, joy, peace, kindness, forgiveness and love. "Dolphins by Starlight” is one family treat that you don't want to miss this festive season, so don't delay, book today! Dates: last show on Thursday, December 13. Time: 19h00pm – gates open at 18.30pm. Adults: R199 Children/Seniors: R160 Tickets are now available via www.ushakamarineworld.co.za CLICK HERE to submit your press release to MyPR.co.za. . . .
Last Friday 7th December, DK Network in association with uShaka Marine World, White Star, The Playhouse Company and Icebolethu Foundation hosted a Christmas party for 100 children from Phindavele Creche which is situated in the Umzumbe district – South Coast. The children’s Christmas outing kicked off at The Playhouse Company to watch their very first theatre production titled ‘The Magic Drum’ . After which, they were treated to a whole lot of unlimited fun at uShaka Marine World where they got to watch a Dolphin show, tour the breath-taking aquarium as well enjoying a Wet n Wild experience, taking rides on the many slides, riding the lazy river, playing at the new kiddies pool as well as lunch all of which was sponsored by uShaka Marine World. Icebolethu Foundation also made the children’s day extra special by gifting them with customized swimsuits as well as providing them with food hampers sponsored by White Star. 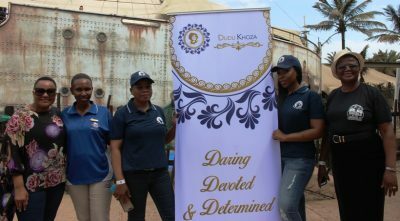 “Every child deserves to have a Christmas filled with laughter, love and happiness, which is exactly what we provided for them on the day”, said uKhozi radio personality and founder of DK Network - Dudu ‘Lady D’ Khoza. “I am so grateful to all our sponsors for supporting the DK Network and making this Christmas day party, one the children from Phindavele Creche will remember for many years to come.” She added. CLICK HERE to submit your press release to MyPR.co.za. . . .
Christmas shopping can be harrowing at the best of times; however at Springfield Value Centre, they are laying out the “red carpet” for every customer, providing VIP treatment all the way. All one has to do is spend R300 or more at the Springfield Value Centre between the 7th – 9th December and you will receive a complimentary ride, valued at R200, to and from the centre. Now that’s a sweet value ride. If you think that is amazing, Springfield Value Centre will also be providing a branded shopping bag to customers who spend R100 at the centre, but only while stocks last. That’s not all; the centre will be laying out a hydrating Lemonade stand stocked with ice cold water and lemonade to quench your thirst during your shopping. To protect everyone from the harsh summer sun, Springfield Value Centre has thought of everything. Promoters will be in attendance sporting umbrellas and escorting shoppers to and from their vehicles so alleviate unwanted sunburn. For those shoppers who find parking out in the side parking lot a drag, fear not, there will be golf carts providing a free shuttle service to the store of your choice So bets are on that you seriously want to make your way down to Springfield Value Centre to enjoy the perks of being a VIP customer and to shop some of the World’s biggest brands such as the Nike Factory Store, Matrix Warehouse, Levis Factory Store, Adidas, Puma, Forever New, Cotton On , Guess and many more. Visit our Facebook Page , for more info on festive store specials. This promotion will continue until December 24th, so head down to Springfield Value Centre to experience a warm VIP welcome. For more information, contact Centre Management on 031 263 2054. CLICK HERE to submit your press release to MyPR.co.za. . . .
3 FREE strategies to get your brand out there! No Budget? No Problem! 3 FREE strategies to get your brand out there! Whether you’re leading the charge in a larger organisation or a lone ranger embarking on your solopreneur journey, the reality is that you not always going to have access to a massive marketing budget. So, what do you do to get your brand out there and get those leads streaming in when you don’t have money to spend? Jacqueline Raw, Owner and Founder of Ycagel, a marketing consultancy in Kwa-Zulu Natal, share three easy, free strategies to help you get your brand out there. 1. 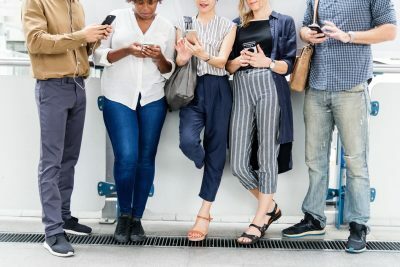 DIGITAL NETWORKING When it comes to social media, the trick that you need to master to get your brand out there and start generating great leads is NETWORKING! There are thousands of business or personality profile pages out there and to really stand out, you need to develop a serious networking strategy on social media – from Facebook to LinkedIn and everything in-between. How? Start by creating a mental picture of what your ideal customer looks like and then start engaging with people who fit this profile on a one-on-one basis. This one-on-one engagement is a HUGE differentiator and drives massive value. Be smart about it. If you looking to attract a bigger audience, connect with a ‘group’ or ‘community’ owner/influencer. Once you’ve established trust and demonstrated value, you have created an ambassador for your brand who has a wider audience to influence. Viola! WINNING! Side note: If you’re a marketing manager in a larger organisation, consider getting someone on this full-time. 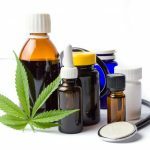 This is a magic strategy to grow your brand and generate seriously hot leads. 2. VIDEO MARKETING Get ready for your close-up! Video content is a powerful medium to get your business noticed and with most social media platforms preferring video content over static posts, you’re setting yourself up for greater reach and engagement. If you’re a consultant, freelancer or entrepreneur with a service-based offering, you can film quick one-minute . . .
Engen has come to the rescue of five Durban schools severely damaged in storms by committing R1 million to effect repairs critical to the safety, comfort and security of pupils and teachers. 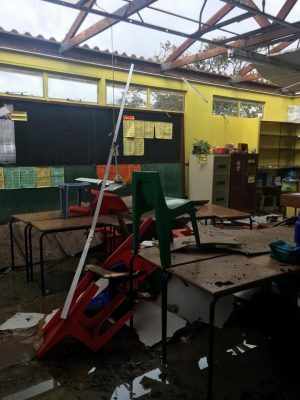 “Engen turned our darkness into light,” says Colin Chand, principal of Collingwood Primary in Wentworth, which was severely affected by the October 2017 storms, forcing the children and teachers into mobile units on the school fields. Without any electricity, the school community struggled throughout the 2018 academic year in dark and extremely hot conditions – until news of the Engen donation came. “We expected a long process to rebuild the school, because we know the government tender process is a long one. But now our 1 200 pupils are learning in the light again, and we can use our fans, so we are extremely relieved,” adds Chand of the work Engen financed to electrify the mobile units. Adhila Hamdulay, Engen’s Corporate Social Investment Manager, says Engen committed the funds to assist five schools in Merebank and Wentworth, which are neighbours of the Engen Refinery in South Durban. All the schools identified for assistance were severely damaged when a massive storm wreaked havoc in Durban on 10 October last year. A total 42 schools in KwaZulu-Natal were affected by the deluge, which left 11 people dead and racked up a repair bill of more than R16 million in respect of public buildings. “Engen takes our responsibility to the community surrounding our Refinery very seriously. We also remain cognisant of the need to partner with government to assist where we can, so it seemed obvious that we should step up and help,” says Hamdulay. All five affected schools had waited for months for assistance when Engen funded the start of the repair work in April this year. Other than Collingwood Primary, Settlers Primary School, Rustomjee Primary School, Wentworth Primary School and Fairvale Secondary School were also assisted. Among the repairs effected were the . . .